A week after Tropical Cyclone Idai lashed Mozambique with winds of nearly 200 kilometres per hour, the rescue effort rose up a gear but the situation was often chaotic. President Akufo-Addo has sent messages of condolence to Malawi, Zimbabwe, and Mozambique following the devastation wreaked by the tropical cyclone, Idai. A cyclone that ravaged three southern African countries last week has killed at least 400 people, affected more than 1.7 million others and left 15,000 people still stranded by floods, according to..
Two pupils are among 31 people killed as Cyclone Idai hits Zimbabwe after Mozambique and Malawi. Cyclone Idai has affected more than 1.5 million people in the three southern African countries, according to the UN and government officials. 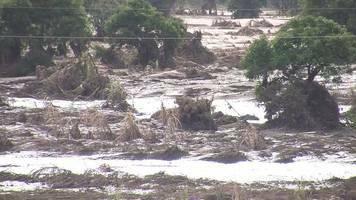 The storm which brought floodwater and widespread destruction to Mozambique and Malawi has reached Zimbabwe. [New Zimbabwe] Chimoio -The movement of cargo between Zimbabwe and port of Beira via Forbes border post is expected to be decrease this week as most transporters have opted to park their trucks in..